Are you innovative and do you like to share your ideas with other enthusiasts? Would you like to apply your knowledge and skills to humanitarian problems? Are you motivated to work on issues beneficial to society? 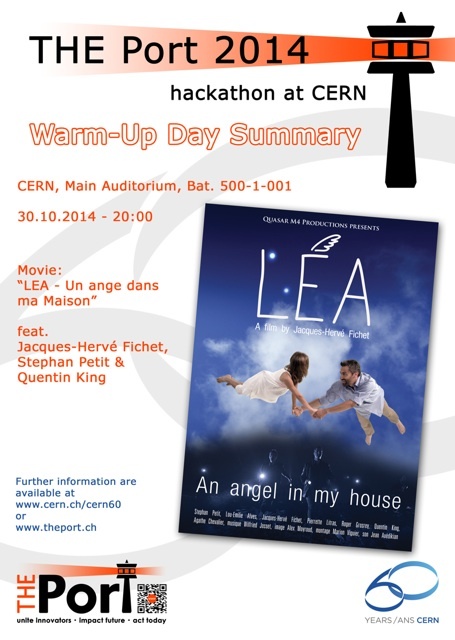 THE Port problem-solving workshop - also known as a hackathon / makeathon - will take place at CERN from 31 October to 2 November. Interdisciplinary teams of 35 participants and 23 local mentors will work on topics inspired by members of other NGOs such as the ICRC, UN Development Programme, UNOSAT/UNITAR and Norwegian People's Aid. Our participants are from companies and universities such as: Oxford, MIT, NASA, Google, Ericsson, SAP SE - Innovation Center, EPFL, ZF Friedrichshhafen AG, Zurich Airport, Near Earth Autonomy, NBA, University of Bergen, TEDxLausanne, SGS SA, Lawrence Berkeley National Laboratory, Software AG, Institute of Atmospheric and Environmental Sciences, The Organisation for the Prohibition of Chemical Weapons - OPCW and different UN organisations. Each group has met once a week for the past threeweeks using Vidyo or Google hangouts, have introduced themselves, worked out a work statement and equipment, prototyping material and an expertise wishlist for their team. On the warm up day they will visit ATLAS and the SC and will finish the day with a screening of the film "LEA - un ange dans ma maison” and a discussion with Jacques-Hervé Fichet, Stephan Petit & Quentin King. Everybody is invited to join the film screening in the main auditorium at 20:00.